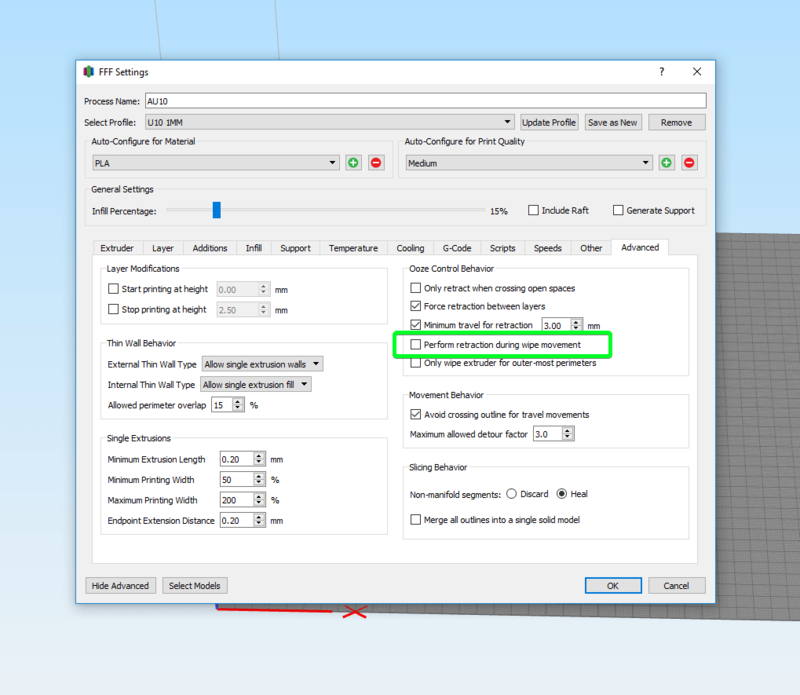 We’ve been chasing what we thought was a Marlin bug but after working with the guys on the Marlin issue forum and examining dozens of GCODE files we found the issue. This is apparently a long standing issue with S3D and it was fixed before but they regressed in the latest release. To fix this issue uncheck the “Perform retraction during wipe movement” and the slowdown where the E motor is being told to retract very slow will go away. This happens because other moves cannot happen until the very slow retract completes. 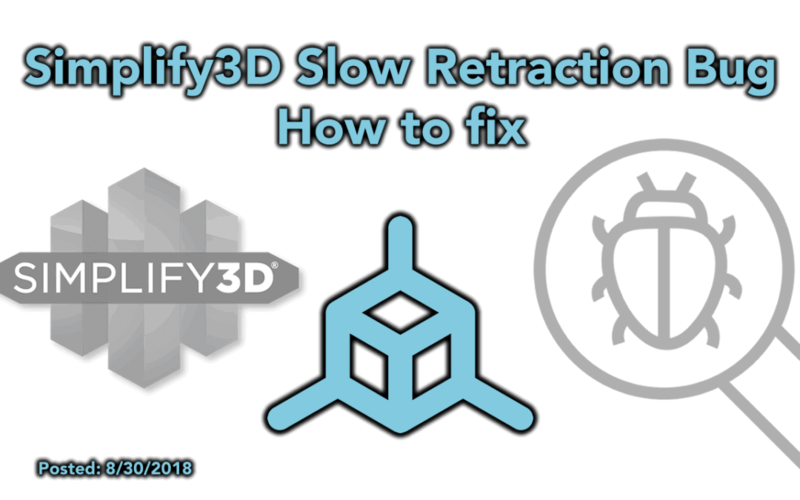 We’ve submitted a bug report with all the information to Simplify3D. We will update this page if/when we hear back from them. Example of the slow retract bug. This is a GCode issue, not the firmware.